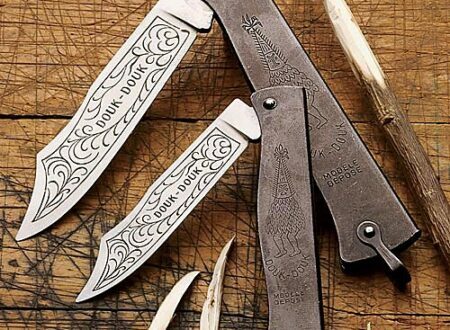 First created in 1929 by Gaspard Cognet the Douk-Douk knife is still made by M.C. Cognet in France using the same, time tested methods. Each blade is handmade from high-carbon steel and both handle and blade features a beautiful series of engravings that are a story unto themselves.